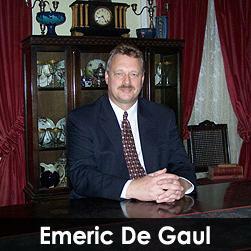 Emeric DeGaul Estate Broker is an estate sale company serving the Dallas, TX area. HALF PRICE ON WHATEVER IS LEFT! MANY ITEMS FOUND IN PLACE AS THEY HAVE BEEN SINCE HOME WAS BUILT IN 1917! MANY ITEMS PRICED AT THE DOOR!EVERYTHING PRICED TO SELL! LADY HAS TO MOVE OUT FAST. ALL PRICED TO SELL! BE READY TO DIG YOUR WAY THROUGH, BUT PLEASE, KEEP IT 'NEAT AND TIDY" AS YOU GO. "SHE WOULD INSIST ON IT!" MUST HAVE APPOINTMENT. CALL 214-528-4830 TO SCHEDULE. BY APPOINTMENT ONLY.CASH ONLY.ALL SALES FINAL. CASH ONLY!ALL SALE ITEMS PRESENTED "AS-IS".NO REFUNDS OR EXCHANGES.ALL SALES ARE FINAL. PRICED TO SELL!CASH ONLY!ALL SALES ARE FINAL.NO REFUNDS OR EXCHANGES.ALL SALE ITEMS PRESENTED "AS-IS"
PACKED FULL.EVERYTHING PRICED TO SELL.CASH ONLY! Formal Dining, Parlor Ensembles, Fine Carpets, A.D. Greer Painting, Fine Old European Paintings, Bedroom Ensembles, Home Office, Ladies Wardrobe, Fashion Jewelry, AND SO MUCH MORE! CASH ONLY ALL SALES ARE FINAL NO REFUNDS OR EXCHANGES All Sale Items Presented "As Is" Everything is Priced to Sell! CASH ONLYAll Sale Items Presented "AS IS" All sales are Final!Everything priced to Sell!!! Warehouse full of antiques, just off Harry Hines Blvd. and North of Mockingbird Ln., from recently deceased local antique dealer. More items may be added from storage. (time allowing) ALL SALE ITEMS PRESENTED "AS-IS" NO REFUNDS OR EXCHANGES ALL SALES FINAL. CASH ONLY! All sale items are presented "AS-IS" and "AS FOUND". No refunds or exchanges. All sales are final. CASH ONLY. A grand house full of fine furniture, fine art, many quality decorative accessories, garden statuary and much more! Cash Only! All Item sold "as is" and "as found." All sales are final. No refunds or exchanges. A Modest House is full of great stuff! Don't Shop It from the Street!